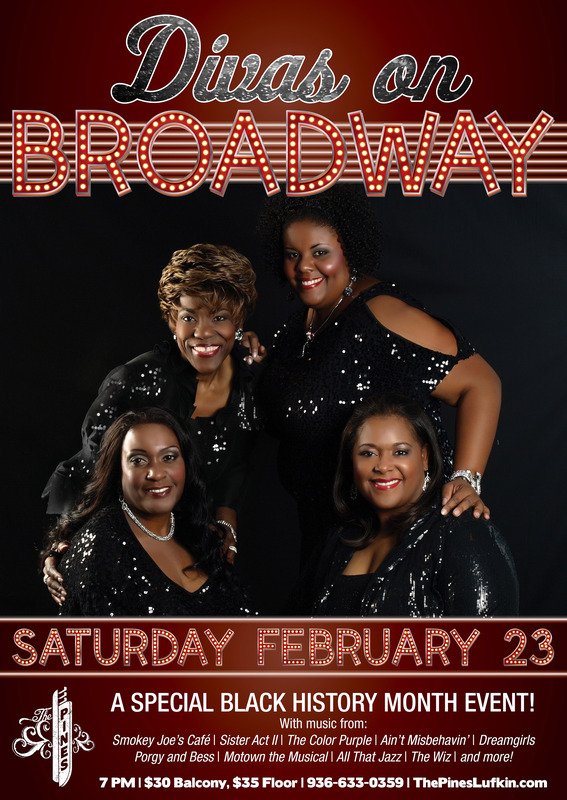 Join us for a fantastic night featuring Divas on Broadway, Saturday, February 23rd! Tickets range from $30-$35 and can be purchased online at www.thepineslufkin.com or by calling 936-633-0359. Don't miss this special event in honor of Black History Month!